Some Things You Keep ran at the Winnipeg Jewish Theatre from April 29-May 9 at the Berney Theatre at the Asper Jewish Community Centre. 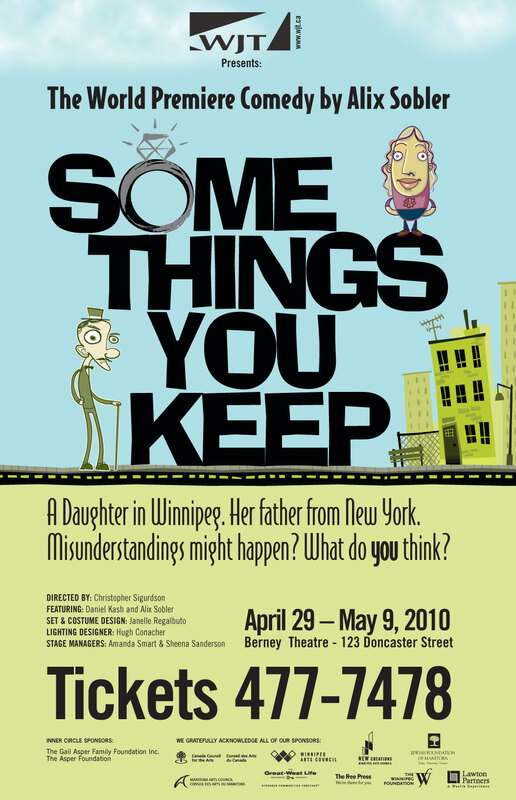 Some Things You Keep is a poignant, heartfelt comedy that premiered at the Winnipeg Jewish Theatre (WJT) in 2010. Originally commissioned by WJT, Some Things You Keep spoke to audiences of all ages and quickly became the best selling production of WJT’s season. Read the preview article about the show in the Winnipeg Free Press. There was also a preview article in the Uptown.